The story of the three Americans who stopped a terrorist on a train bound for Paris. 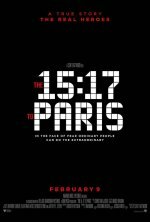 The 15:17 To Paris release date was Friday, February 9, 2018. This was a Nationwide in theaters release. Based on the book "The 15:17 to Paris: The True Story of a Terrorist, a Train, and Three American Heroes" by Anthony Sadler, Alek Skarlatos, Spencer Stone and Jeffrey E. Stern. True story. 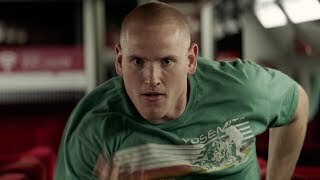 The real-life heros Anthony Sadler, Alek Skarlatos, and Spencer Stone will play themselves in the film (Variety, 7/11/17). The film is expected to begin during the trio's childhood and show their friendship leading up to the moment that changed their lives (Variety, 7/11/17).